Does Vail Really have SEVEN Legendary Back Bowls? Something doesn’t add up! Who’s counting anyhow? Vail’s big claim to fame is that it has 7, count them, seven back bowls. 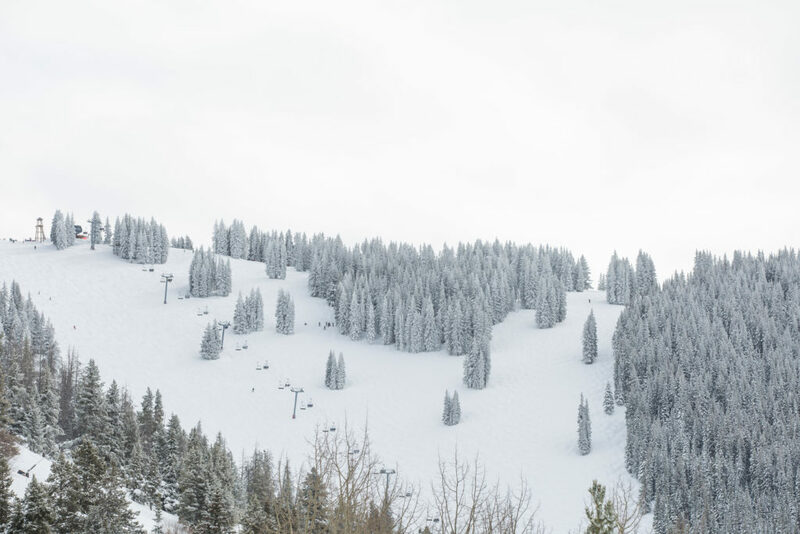 I’m here to tell you, I have skied every trail on Vail and it is just not true….. Vail has EIGHT! Walk through the evidence with me. I don’t know what the logic is but there is a whole other bowl not pictured on the cool poster you can pick up at any Vail souvenir shop. Game Creek Bowl is left out every time! My test has always been, if you could fill that acreage with Frosted Flakes and pour it full of milk, would breakfast stay put. If yes, IT IS A BOWL! Sure enough, if you applied my test to Game Creek you could eat your fill. 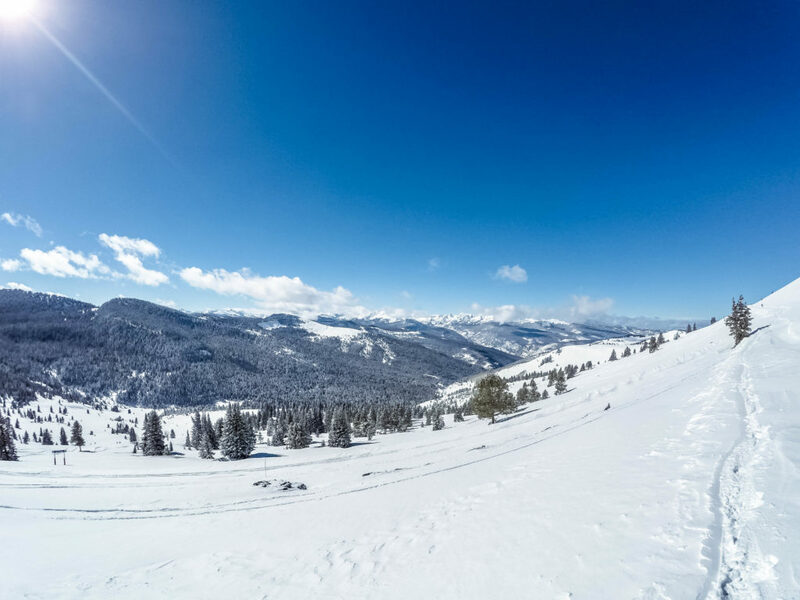 Vail is so vast that it gives us three distinct major areas to ski; the fabulous Front Side, the Back Bowls and Blue Sky Basin. No matter what the weather, or your preference in trail type, you can find your fav somewhere at Vail. But let’s concentrate on Vail’s EIGHT Legendary Back Bowls! GAME CREEK BOWL- The story I’ve heard was that one Vail founder was asked to go name the trails in Game Creek Bowl after “Game”. They expected he would designate the runs as ‘Elk Alley’, ’Mt. Lion Moguls’ or the like, but he must’ve been on a Vegas run or something just prior and had other “game” in mind, and came back having named the trails there;”Baccarat”, “Wild Card”, “Dealer’s Choice”etc. The names stuck and don’t be fooled, skiing Game Creek- the now famous EIGHTH BOWL, is no gamble. 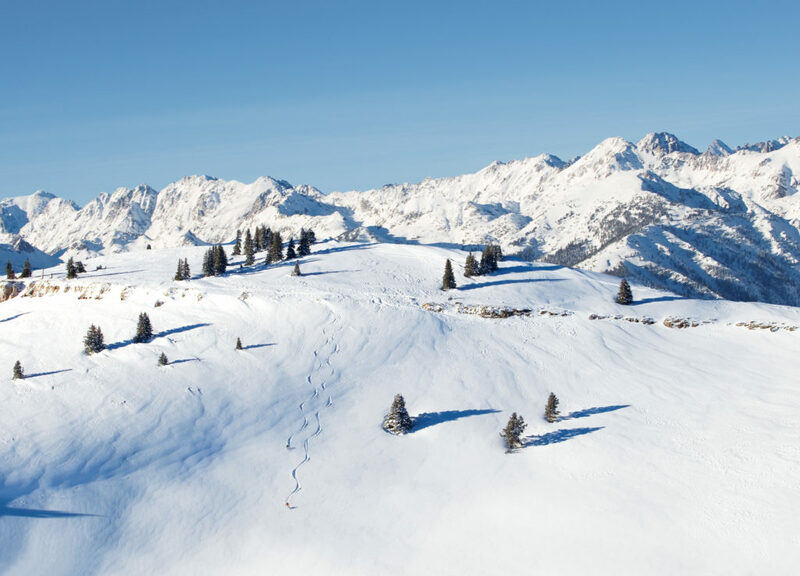 Being a true bowl, it faces nearly every dial on the roulette wheel, meaning there will always be a trail that has had whatever weather, sun, or shade needed to make great snow. With a mix of levels of trails, from the Green – Lost Boy, to the Black Diamond of Ouzo you have your pick of great terrain. SUN DOWN BOWL-Just over Ptarmigan Ridge from Game Creek, is this gem that I think is missed by too many. It takes extra effort to make repeat runs here but I think that deterrent is the exact reason you’ll want to check it out. Skiing Ricky’s Ridge or all the way out to O.S. and Seldom, you’ll, find fun twists, turns, steeps and true skier’s moguls. I’ll never forget the days, (yes, plural days), that I’ve found myself ALL ALONE in knee high powder out in Sun Down. This is a bowl not to be missed and will never be forgotten. SUN UP BOWL– So much fun to be had here and serviced by two lifts. From Cow’s Face, named after the steep vertical pitch on a ….cow’s face, to Chicken Yard where no one can call you a chicken if you jump the cliffs, back to the Yonder trails with great glade runs through open trees you’ll have a blast back here. Or you can start from the top of chair 9 and ski the open wind- smoothed powder down to the rim of the bowl. In my first year as an instructor, some amazing veteran instructors took me out to Yonder for my first foray in the back. I was in awe of their skiing, …until one of them got a little too close to a little Christmas tree and came down with a little sprig of evergreen in his goggle strap. J All great fun! TEA CUP BOWL– Too often this is just the means to an end, to get from the front to Blue Sky Basin. 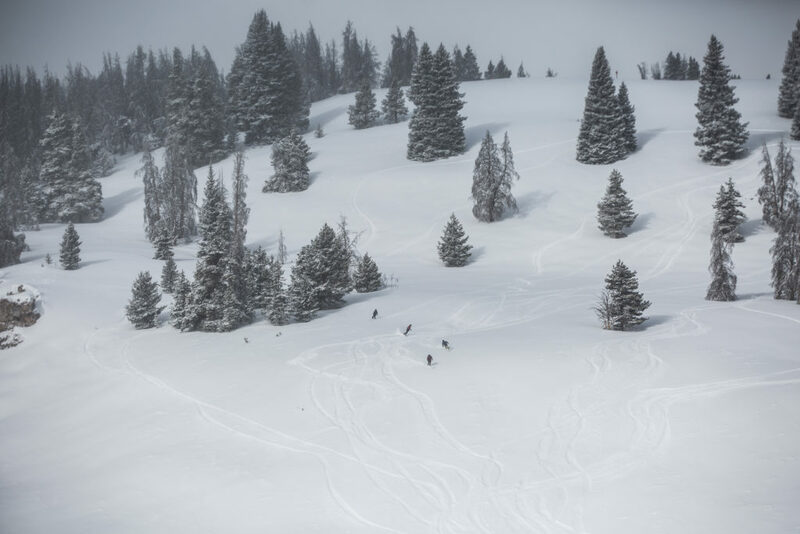 But don’t miss it, this season the middle of Red Zinger is groomed and follows the drainage down to Marmot Valley, while Morning Thunder sports a nice pitch and is alternately steep and smooth or moguls. CHINA BOWL– Now we’re cooking with gas! Want a virtual wall of great skiing, hit any part of this from Jade Glade to Genghis Kahn, down the ridge to Sweet and Sour which should just be called- Oh SO Sweet! On the other side, one of my personal favorites is Shangri La Glade where you can glide over the rolls of the slope in and out of Evergreens forever. 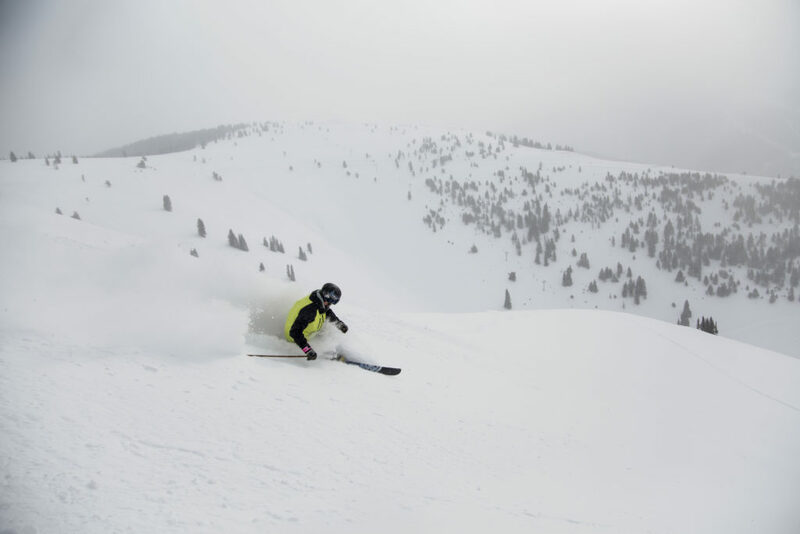 Paired like the right wine with steak, China Bowl also offers three huge Blue runs so the intermediate skier and anyone who wants to carve up some groomers will love the bowl experience! 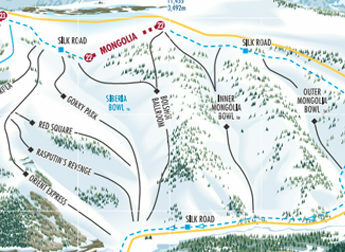 SIBERIA BOWL– As we work our way east we again have a broad variety of runs available in one big bowl. If you go find the old wooden miner at the top of Rasputin’s Revenge you’ve not only found some great steep skiing, but a tremendous view of the Blue Sky Basin cornice and the other 7 back bowls. Siberia also boasts some of the smoothest, danceable terrain on Bolshoi Ball Room and Gorky Park. 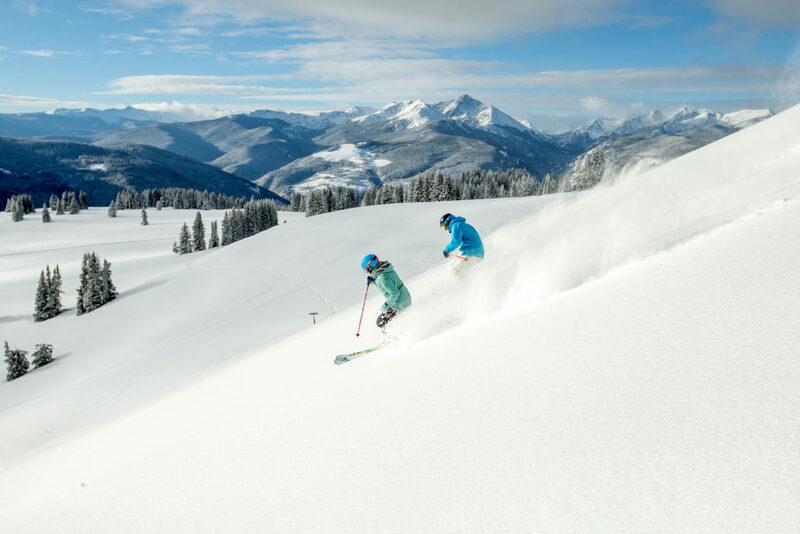 INNER MONGOLIA BOWL AND OUTER MONGOLIA BOWL- These two are a true adventure.Take the poma lift out to the eastern closure of Vail to cover it. The terrain is mild and every single time I’ve gone out there I have been the only one. You will never hear quiet, as quiet as this place. It takes more effort to get out here but these slopes are rolling, and beautiful. I am always left with more of a feeling of a pioneer exploring a snow covered meadow than feeling like I am anywhere near a famous ski resort. Count them up- EIGHT! Eight vast amazing bowls for you to soak in, explore or rip up and make your own.” Vail, Like Nothing on Earth!